This website is operated by Lions Foundation of Canada for those interested in supporting the organization and its causes. Our organization is committed to protecting the privacy of the personal information of its employees, clients and volunteers. We value the trust of those we deal with, and of the public, and recognize that maintaining this trust requires that we be transparent and accountable in how we treat the information that you choose to share with us. Except as set forth in this privacy notice, Lions Foundation of Canada will not share personal information about you with anyone. By interacting with Lions Foundation of Canada's web site, you agree to accept the practices described in this privacy notice. The privacy of our users is important to us. Lions Foundation of Canada does not collect any personal information about users, except that which is knowingly and specifically supplied to us by the user. At times we may request that you voluntarily supply us with personal information, such as your e-mail address and postal address, for purposes such as corresponding with us or making a donation. However, when at all possible, an option to remain anonymous will be provided to those who wish to preserve their right to anonymity. We will not disclose any personal information about users to any outside parties. You may access your personal information at any time to ensure that it is correct and current. 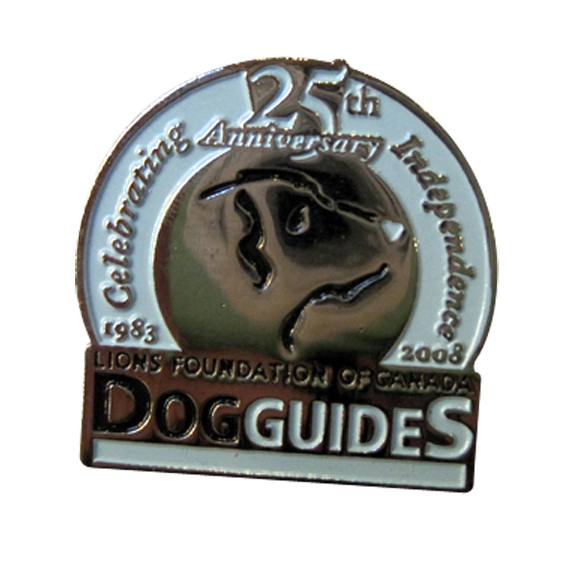 Lions Foundation of Canada receives and stores any information you choose to enter on the Foundation's web site, or provide us in any other way, such as by telephone or by electronic mail. This information may include your name, address, e-mail address, and/or telephone number, as well as information pertaining to the business interaction between yourself and the Foundation. Certain applications in Lions Foundation of Canada's web site may invoke a standard feature found in web browser software called "cookies." We do not use or share information transferred through cookies. Although most Web browsers automatically accept cookies, you can change the configuration of your browser to prevent this from occurring. Lions Foundation of Canada may use your personal information to e-mail you regarding specific information about events or activities. All such e-mails sent to you by the Foundation will offer you the option to be removed from our e-mail list. If you provide your e-mail address or have opted-into receiving communication electronically or in print, in addition to using your personal information to provide you with such communication, Lions Foundation of Canada may also use your personal information to contact you by mail, by e-mail, or by telephone. If you wish to be removed from this contact list, you may do so by contacting the Foundation directly. (See the 'Contact Us' section below). Information collected by the Foundation will not be shared with any third parties. Foundation personnel are authorized to access personal information based only on their need to deal with the information for the reason(s) for which it was obtained. Safeguards are in place to ensure that the information is not disclosed or shared more widely than is necessary to achieve the purpose for which it was gathered. We also take measures to ensure the integrity of this information is maintained and to prevent its being lost or destroyed. Lions Foundation of Canada works to protect the security of your information during transmission by using Secure Sockets Layer ("SSL") software, which encrypts information you input. If you make a purchase via the Foundation's web site, we will use your credit card number only to process your payment and will not use it for marketing purposes. For reasons of security, credit card information is not stored on our Web Server. We will retain order information for our records, but this information is never shared with third parties. We do not knowingly collect personal information from any children under 16. If you are under 16, be sure to obtain your parent's or guardian's permission before you send any information about yourself to us or anyone else over the internet. We encourage parents to get involved with their children's online usage and to be aware of the activities in which they are participating. Upon your request, we will provide you with access to, and ability to correct, certain information about you, such as contact information, transaction information and credit card account information. You can help Lions Foundation of Canada maintain the accuracy of your personal information by notifying us when you change your address, phone number, or e-mail address. If you choose to interact with Lions Foundation of Canada's web site, your visit and any dispute over privacy is subject to this privacy notice. We regularly review our privacy practices for our various activities, and update our policy. Please check this website on an ongoing basis for information on our most up-to-date practices. Lions Foundation of Canada is a member of the Canadian Centre for Philanthropy and the Association of Fundraising Professionals. We adhere to the privacy guidelines of these organizations. We are always appreciative and responsive to any suggestions or concerns regarding any of our policies or practices. 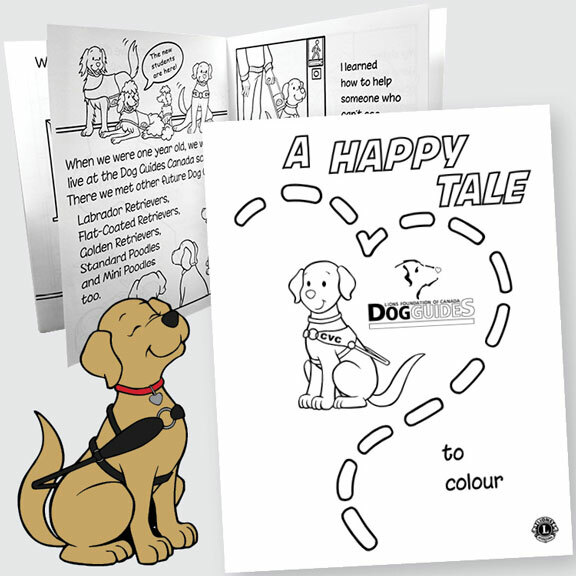 Please send your comments to info@dogguides.com and we will respond in a timely manner. For our complete procedures on how complaints are handled, please contact us.